Baseball coaching expert Dan Clemens talks about the right approach to coaching. We are delighted to have the opportunity to spend some great time recently with youth coach, author and professional speaker Dan Clemens. Dan talked about his coaching approach and his outlook on the world of youth baseball. It is a real treat to be able to share with you today the interview we had with Dan. This is really good stuff if you want to do the youth baseball coaching experience the right way and do the best service for your kids and families. Hi Dan, Thank you so much for joining us today. Please tell us about yourself, your website, your books, videos and anything else you would like to mention. I was fortunate to grow up in a baseball coaching family, learning the game from my dad, who learned it from his. In high school I was named all-state both my junior and senior years and received a scholarship to pitch at Colorado State University (they’ve since dropped their program). During my freshman and sophomore years I underwent three shoulder surgeries, which ended my career. I was an assistant coach for my son Alan’s teams for seven years, and then was the head coach for the last three. I’ve also been an assistant coach for his soccer, football, and basketball teams. That first year I transitioned from assistant to head coach (when Alan was 12) was a real eye-opener for me. I learned a ton about coaching, kids, and myself, and during that season I cemented my coaching philosophy, Fun, Learn, Compete. 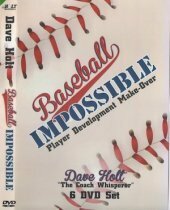 I kept a journal throughout the season, which was the genesis for my book, A Perfect Season: A Coach’s Journey to Learning, Competing, and Having Fun in Youth Baseball. The book has been out for about a year now in print and ebook formats, and I just released the audio book on my website www.CoachClemens.com. Alan is now a high school freshman, and I’m fortunate to be a coach in his high school program. Having a foot in both the youth and high school games has been a fun and interesting ride! By day I’m a speaker and consultant, bringing the ideals of Fun, Learn, Compete to the workplace. I help business leaders and work teams make Fun their competitive advantage. After all, when we’re having fun at work, we are more productive, produce better quality, problem solve – all those things that make a business successful(more info at www.DanClemensSpeaker.com). 2. Dan, you talk a lot about the rift between kids who play the sport to have fun and be with their friends, and the priorities of the adults who are deep into the win-at-all-cost approach. How can we help the coaches and parents realize the over-emphasis on winning is not healthy for the sport? (Dan): Winning is deeply engrained in our culture. As adults, we compete for jobs, budgets, assignments, mates, and even parking places at the grocery store! We seem to march to the drumbeat of the late Al Davis: Just Win, Baby! The problem is, though, that kids don’t play their sports to win. Sure if you ask them if they want to win the next game, they’re going to say, “You bet, Coach.” But that’s a desire, not a motivation. It’s a WHAT, not a WHY. Research shows again and again that kids play to have fun. They also want to be with friends, learn new skills, learn the game, etc. Last on the list of these studies is win. Now, if you ask parents what they want, of course most of them will say, they want their kids to have fun. But as soon as the game starts, listen to what they say in the bleachers and watch how they act . . . Just Win, Baby! So the question is, what do we do about this rift? A few things. First, be very clear with the parents about the goals and priorities of the team. From the very first time a coach talks to a parent about joining the team, the conversation needs to cover this ground. This starts at tryouts, continues through parent meetings, as well as in all conversations, individual and group, we have with parents. We have to reinforce why we’re out there. There’s an old saying in advertising that people need to hear a message 7 to 27 times before they change behavior. Adults in sports are no different. While being resolute in our approach is important, we have to make the concept personal for them. During discussions like this, I’ll sometimes ask parents or coaches what they remember about their youth sports experience. I get them talking about the funny things that happened, the impact coaches had on their lives, the lessons they learned. I point out that the didn’t mention winning (they never do), and then reinforce that those are the same types of memories we’re trying to create for our kids – and that winning distracts us from doing this well. Finally, I think we all have a responsibility here. It takes all of us working together to create a great youth sports experience for our kids. When we see something that isn’t healthy for kids or the game, we need to speak up. We need to do this respectfully, tactfully, and at the right time and place. But we need to call out bad behavior (intentional or not) when we see it. I’ve confronted coaches who send the 11-year-old out for the 6th inning of the game after already throwing 114 pitches. Yeah, the rules say he can pitch 6, but the kid is in pain and his health is at risk. When it comes to coaches, parents must remember that they control the talent pipeline – if a coach places too much emphasis on winning, parents and their players should go elsewhere. 3. The lack of basic fundamentals is a big factor for players dropping out. When they have major flaws in throwing and hitting techniques these weaknesses are magnified when they reach the bigger fields at age 13 and over. That is when 75-80% of kids stop playing. How should our coaches approach the fundamentals of the game? (Dan) Unfortunately I think a lot of coaches see fundamentals as necessary evils. They take up practice time, they try your patience to keep reinforcing them, and they don’t directly show up in the box score like stolen bases or base hits. So we teach fundamentals a few times at the beginning of the season and then dive into strategy. Instead, we have to look at fundamentals as an ongoing investment in the kids and the team. Allowing a kid to skate by with poor throwing mechanics diminishes his chances of playing later on. It also means that later in the season as other players have progressed, he’s not going to be in a position to help the team be successful. The vast majority of coaches are great people with hearts in the right place. Most would do anything to help a kid. They have to see that being a stickler for fundamentals is one of the best things they can do for a kid’s career. I also suggest that at the youngest ages, 5-7 years old, coaches should focus on just two things: FUN and FUNdamentals. 4. Teaching players to throw correctly is a big job. What tips can you share that our coaches might benefit from? (Dan) Muscle memory plays a huge roll in how kids throw. As a youth coach for 10 years, I probably placed the same emphasis on teaching throwing mechanics as most of my colleagues: not enough! Last spring I coached high school sophomores and was appalled at how poorly many of them threw. Up to that point I hadn’t given it much thought . . . I guess I assumed that some coach at the high school would magically iron everything out. Sadly, the longer we wait to fix something that isn’t right, the bigger job it becomes. If youth coaches do one thing for kids, it should be to teach them to throw correctly. We have to reinforce proper throwing every time we are on the field. It comes back to the advertising adage: they have to hear it 7 to 27 times. For kids and throwing, it’s probably three times that many! A quick story on that. A couple of years ago I took my son’s team to spring training in Arizona. We were watching a AA game, and I had talked a little bit with a pitching coach who was sitting behind home plate teaching some of the players how to chart pitches. In the last inning, he saw something he didn’t like, ran out onto the field, and had a pointed conversation with the pitcher. I was blown away! Here was a 24-year-old professional player still struggling with the same thing that some of my players were. That reinforced to me how hard it is to develop AND maintain proper throwing mechanics. How can we expect an 11-year-old to get it if we tell him twice at the beginning of the season? With all that said, youth coaches can do a few things. First, teach them to do it right. Spend 30 minutes at several practices early in the season to make sure they all know what they are supposed to do. Second, watch your kids warm up and play catch at every practice and game. Go up and down the rows and reinforce good throwing. Third, role model it. Most coaches will play catch at the beginning of practice now and then. Role model good throwing, and make sure they watch you do it the right way. Also, use good mechanics when throwing batting practice – this will save your arm too! Finally, don’t let kids get away with what I call “goof ball” throws. Many times warming up, they aren’t paying attention, just heaving the ball back and forth until the coach says, “All right, everyone in.” Too often, they’ve not really gotten loose, and have probably reinforced the muscle memory for bad mechanics, making it even more difficult to correct later. 5. Pre-game is a valuable time that I feel can be used for a number of mini-practice sessions. Mostly the kids go throw about 10 short throws and go sit down in the dugout. How would suggest that coaches could better use pre-game for practicing and teaching time? (Dan): This is a great point, Dave. A common complaint among youth coaches is that we never get enough practice field time. Pre-game is a great opportunity to work any number of drills that reinforce proper fundamentals AND get them warmed up and ready for the game. A few favorites are tossing balls to outfielders to have them work on drop steps, rounding the ball, and crow hops. Infielders can work on similar fielding drills for ground balls. If you’ve got a net to hit into, it’s also a good opportunity to reinforce some hitting mechanics and then give each kid10-15 cuts of soft toss. If you still have time, talk to the kids about a baseball or life lesson they’ve learned in the last week. Have them process what you’ve been teaching. 6. You are right on with your thoughts on suggesting pitchers develop a straight change-up before going to the curveball. Explain your thinking on the benefits of the straight change-up. (Dan) The health statistics are alarming. Arm injuries to young players are almost an epidemic, and curve balls are one of the evils (poor mechanics and overuse are the other two). Beyond the health concerns, we have to remember why we’re out there in the first place. We’re trying to teach them the game and have fun. Hopefully, we’re not trying to win at all costs . . . we’re trying to give them the fundamentals that will carry them into high school. With that in mind, a change-up is the ideal pitch to learn in the youth game. It doesn’t pose any additional health problems, so that makes it safe. In addition, it’s a difficult pitch to learn to throw. The grip is completely different and can be a challenge for smaller hands. It is going to take them a long time to master it. Why not do that between ages 11 and 13, and then learn the curve in high school once the arm has grown and matured? When I played, I learned how to throw a really good curve ball in just a couple of weeks. It took me a year and a half to learn the change-up. I think youth coaches do their players a disservice teaching them the curveball early. They’re risking injury and aren’t investing in a fundamental pitch that will make them effective as they get older. 7. Dan, you put a lot of emphasis on coaches dealing with baseball parents. Share some of you ideas that can help coaches successfully work with parents of their players. These are what we’re trying to achieve AND they are the filters through which we’ll make decisions and determine success. I also have a parent meeting at the beginning of the season where I share my “10 Tips For Parents to Ensure a Perfect Season,” (It’s a free download on my website). I walk them through each of the 10 things I want them to do and/or be aware of throughout the season. From this we have a mutual understanding of expectations and a foundation to communicate from throughout the season. Communication is the coach’s number one job off the field. It’s important on the field too, but I don’t think a coach can over-communicate. Yes, it takes time, but it’s an investment. I know there are situations where I feel I’m repeating myself (recall the 7 to 27 rule), and that I don’t have time to bang out another email explanation . . . but if I don’t make the time right then, when it is most appropriate, I’ll spend five times as long sorting it out later. Sometimes baseball parents just need to vent. I’ve become a good listener, and I think that serves me well as a coach. Yes, it takes time and I hear some crazy things, but I know I’ve diffused some potentially ugly situations just by calling a parent and listening to their issues for a while. You also have to know when to cut them off and move on. Finally, as coaches, we have to remember that parents are out there for their kid first. Most are willing to compromise at times, but they’re focused on one kid. Coaches are focused on 11 or 12, trying to balance all of the needs. I like to say that as a coach I bring passion to the team; parents bring expectations. I must share my passion and manage expectations. Ultimately, we’re trying to help parent and kid develop a healthy relationship with the game. 8. Baseball is a game of failures. Errors will be made, kids will strike out and teams will lose games. What are your thoughts on dealing with the rough patches since this might be our biggest opportunity to teach life lessons? (Dan): You’re right, Dave, mistakes are where we have the opportunity to learn the most. First and foremost we have to stay positive with mistakes. This might be the toughest thing for a coach to deal with . . . you’ve told Jimmy 15 times to hit the cutoff man and he still hurls a rainbow vaguely in the direction of the infield . . . I think the notion of batting average and earned run average skews the youth game. Jimmy hits a solid line drive at the shortstop and he’s upset. After all he’s out and his batting average dropped. We have to stay positive and encourage the effort. We have to help him see that he hit the ball hard – an outcome we desire. Maybe he also kept his hands inside the ball – something you’ve been working on for weeks. Focus on what’s going right, not what’s going wrong. When a player or team gets in a slump, we tend to focus on the 23 things we see that are wrong. Yes, certainly plenty of technical things to address, but if we also give time to what’s right, we build confidence. I am not afraid to admit, or even point out, when I make a mistake – it reinforces that they happen to everyone and what counts is what you do afterwards to correct or improve. Usually, though, I don’t have to point out my mistakes – the kids are more than happy to help me with that! 9. 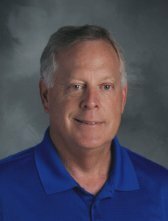 Dan, you are a wealth of wisdom and knowledge when it comes to youth baseball and the proper coaching approach. We are really thankful that you have taken some time to discuss your philosophies. Can you summarize what a positive coaching approach might look like? And thanks again for your time with us today! (Dan): For me it all comes down to your philosophy. What are you trying to accomplish? My mantra is again, Fun, Learn, Compete. And a big portion of the Learn has to be fundamentals – youth coaches need to invest here and let the wins and losses take care of themselves.